To ensure the care, protection, and well-being of vulnerable children CHILDLINE was created. Children must be nurtured in a safe and stable environment, and Childline 1098 is available 24×7 for vulnerable children. It is India’s first 24-hour, toll-free, helpline for children up to 18 years of age, in need of protection from exploitation and abuse. CCDT’s Childline team addresses all the cases in the suburbs of Mumbai (from Dahisar to Andheri). The team rescues children from exploitative situations of beggary, labour, trafficking, physical and sexual abuse and follows up with these children by linking them to services for their long term care and rehabilitation. Additionally, CCDT’s team endeavors to enhance public awareness on the importance of child protection and child rights and sensitize the allied systems. Police play a key role in maintaining a safe society, including safeguarding of children. Police have unique responsibilities for investigating crimes against children and taking protective action where this is necessary. Thus, it is important to sensitize police on child rights and the various child protection issues. On a regular monthly basis CCDT’s Childline team facilitates orientation program with the Police, where they are also informed about the 1098 helpline and its services. 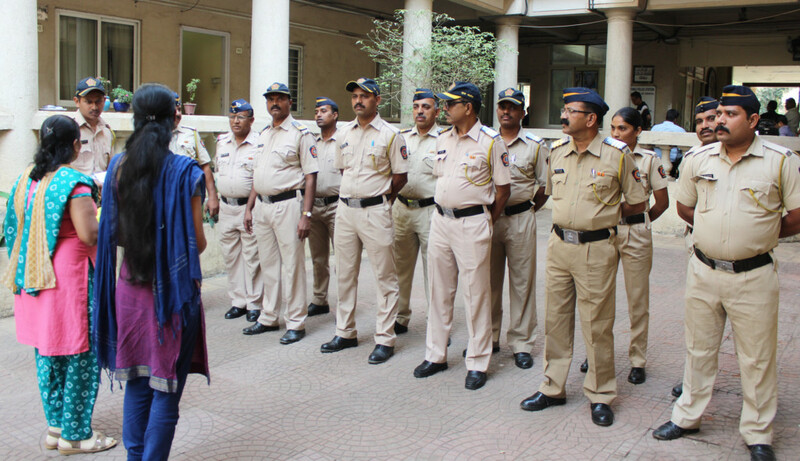 During the months of February and March 2019, 24 police personnel from the Kasturba police station and Powai police station were sensitized. Police were helped to understand child rights with a special focus on the children in need of care and protection. Following this there was a discussion on the cases of children requiring protection that were intervened by the team and its process. Thereafter, Juvenile Justice (Care and Protection of Children) Act 2015 and the amendments in the Act were discussed. The sensitization closed with discussing the role of police in protecting children and how CCDT’s Childline team and the Police could continue to co-ordinate closely in facilitating a safe and protective environment for children.